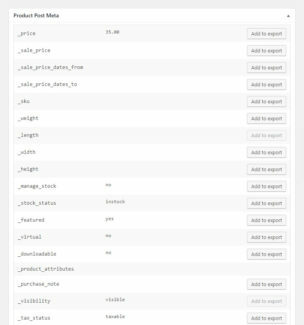 I just have tried Export with demo-version, but all product descriptions that were in Russian came out as broken characters. If I buy full version I want to make sure first that it works well with my language. 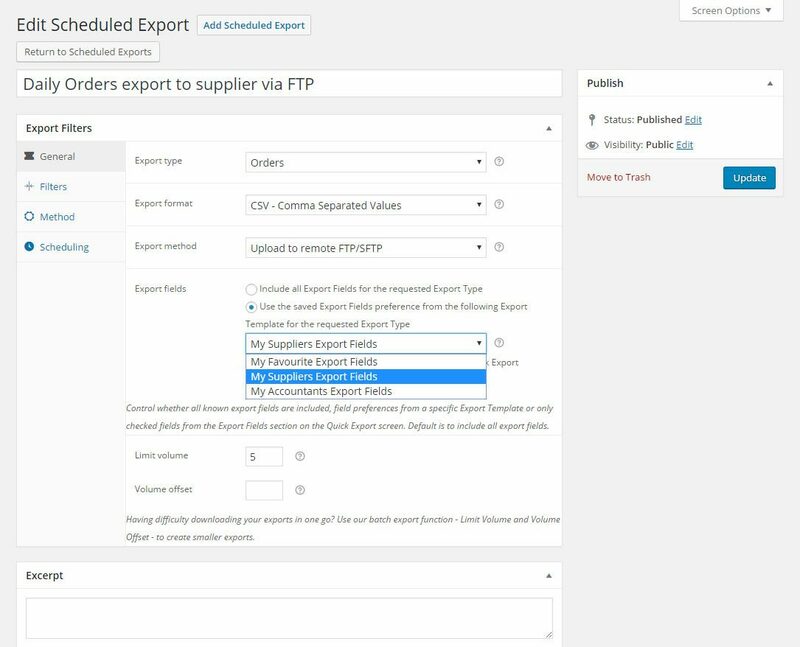 Is it possible to have a total at the end of the export in excel for orders export? I mean a new row “Total” that will sum every column and show total? Thanks for quick response. Where I can see a demo of this or screenshot? 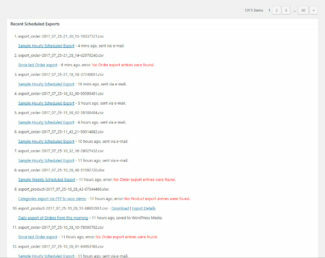 Hi Rikardo, I’m preparing a batch of new screenshots and content for the Plugin page. 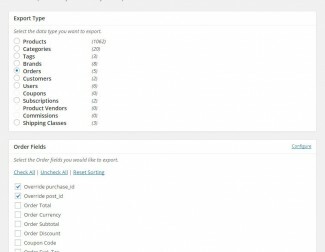 In the interim you can proceed through Checkout and if our Plugin does not suit your needs we can refund your purchase at any time within the 90 day PayPal window. Thank you for the reply. 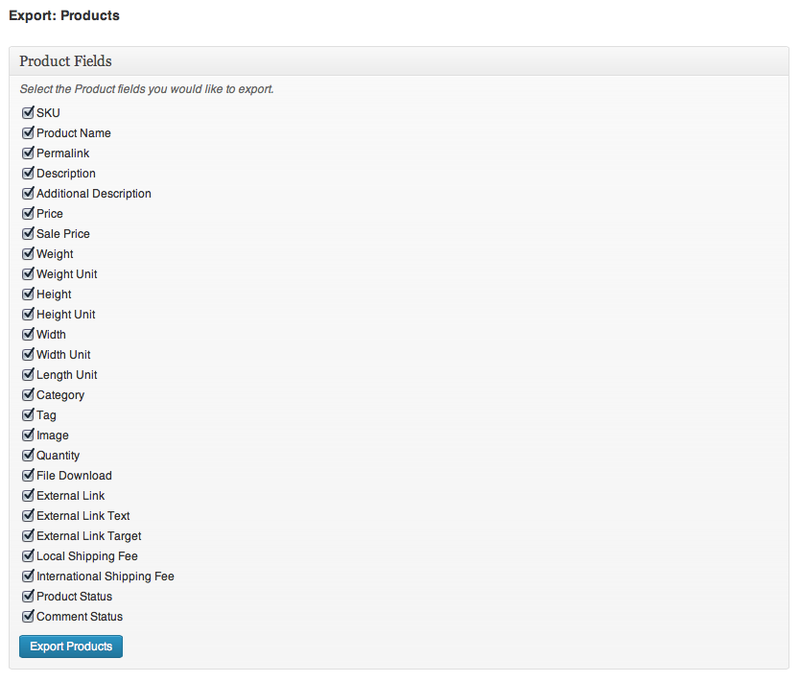 I see that for me to be able to contact you via Support I need to be a customer of your Premium Plugins. 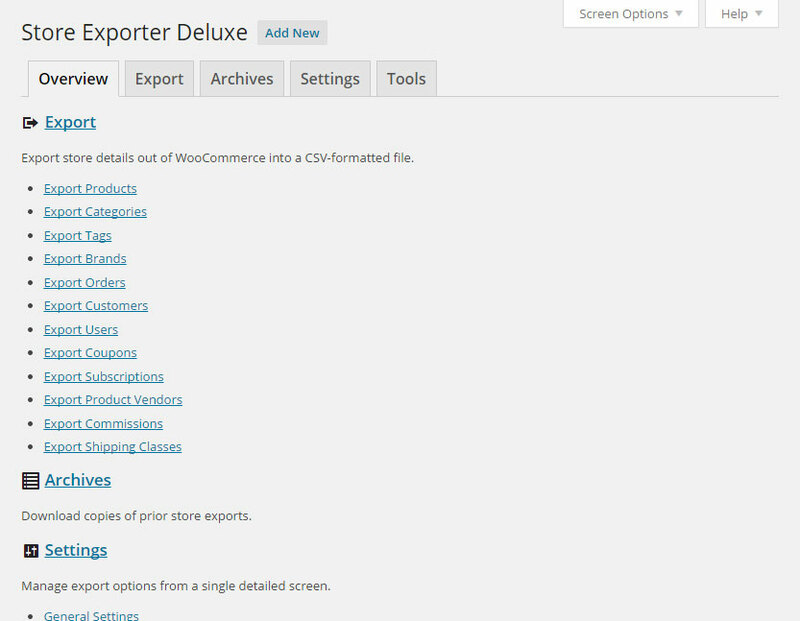 I’m very interested in becoming a customer, but I’m not sure yet if Store Exporter Deluxe can provide in my needs. 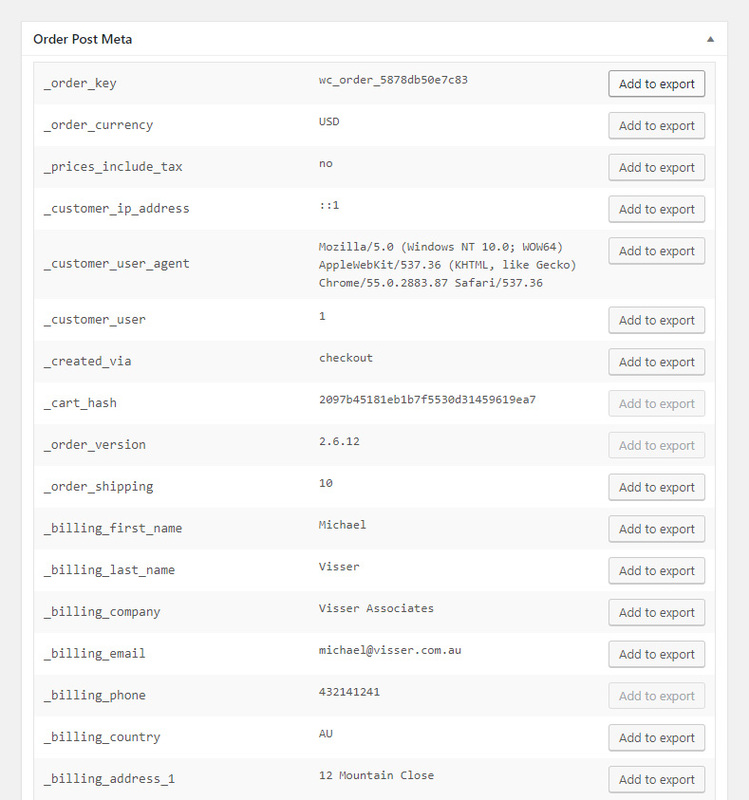 My dropshipper asks me to include my API-key and email-adress to every XML-file that is sent. So I need to be able to add [ api key ] “apikey” [ / api key ] (something similar). Is this possible? That’s great! 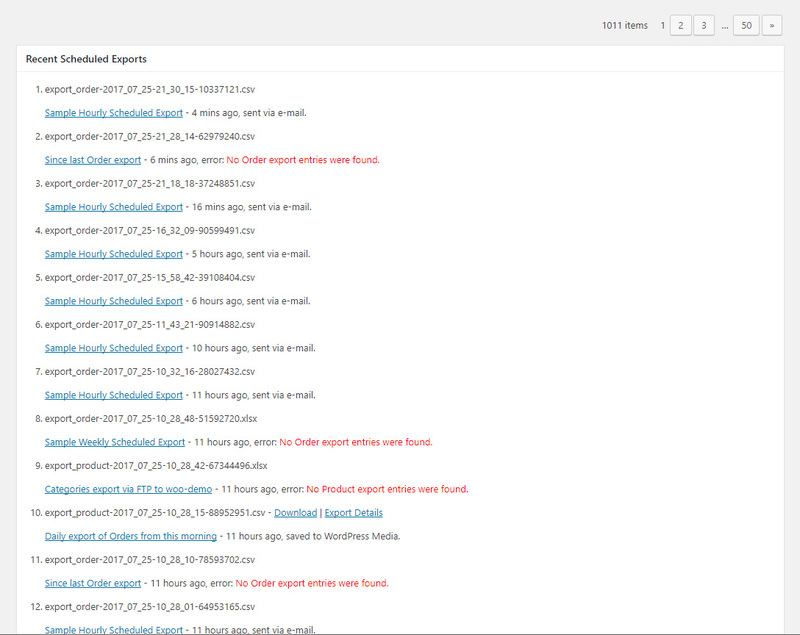 I will buy the plugin and get back to you via Support within a few days. 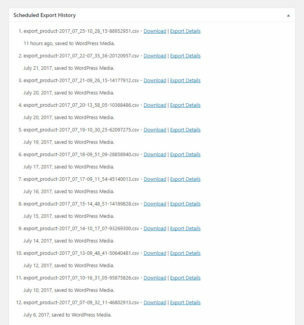 Hi Melwin, thanks for getting in touch, can you clarify what Plugin from ProWord you are looking to see integrated in our Plugin? 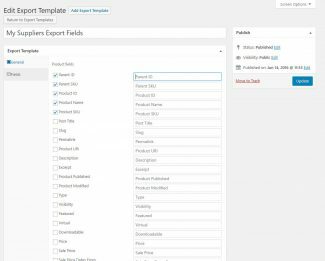 is this plug in https://wordpress.org/support/plugin/woocommerce-custom-product-data-fields supported ? 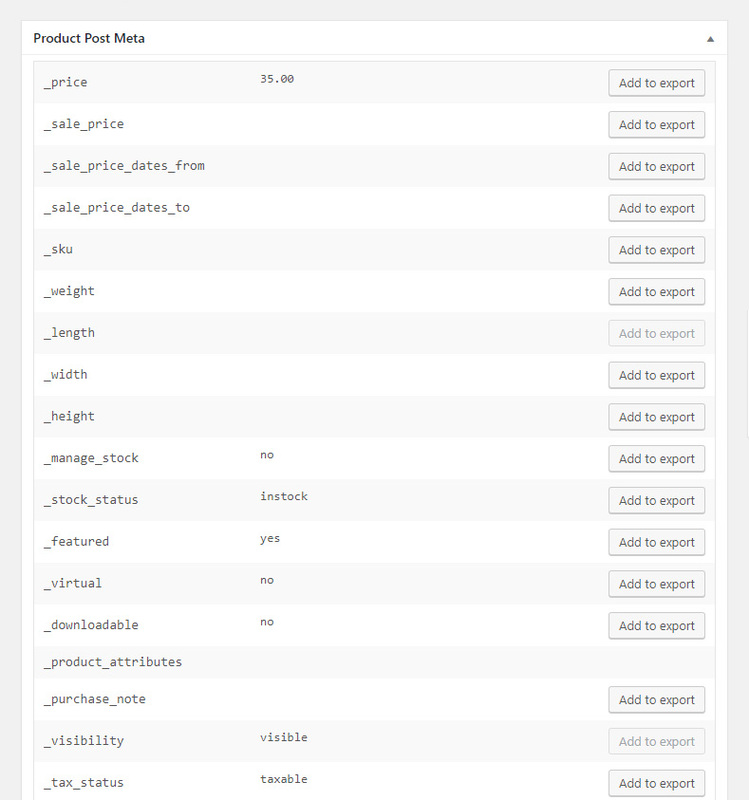 In the interim you can use our Custom Product Meta textbox under Export Options to export this and other custom Product meta by entering the Post meta name in the textbox, if you need help open a new ticket via Support. 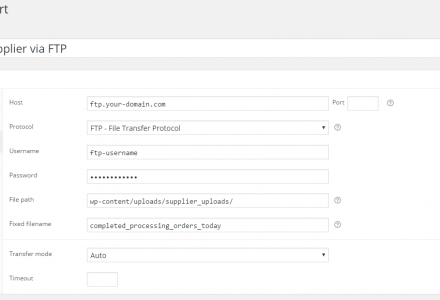 Add-on field name: User input data | field2 name: input data 2 | …….. 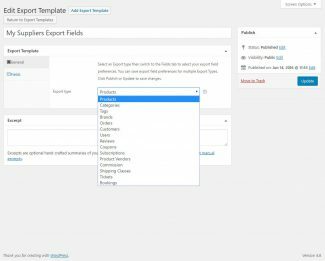 Does this plugin support exporting active subscribers and non-active subscribers? 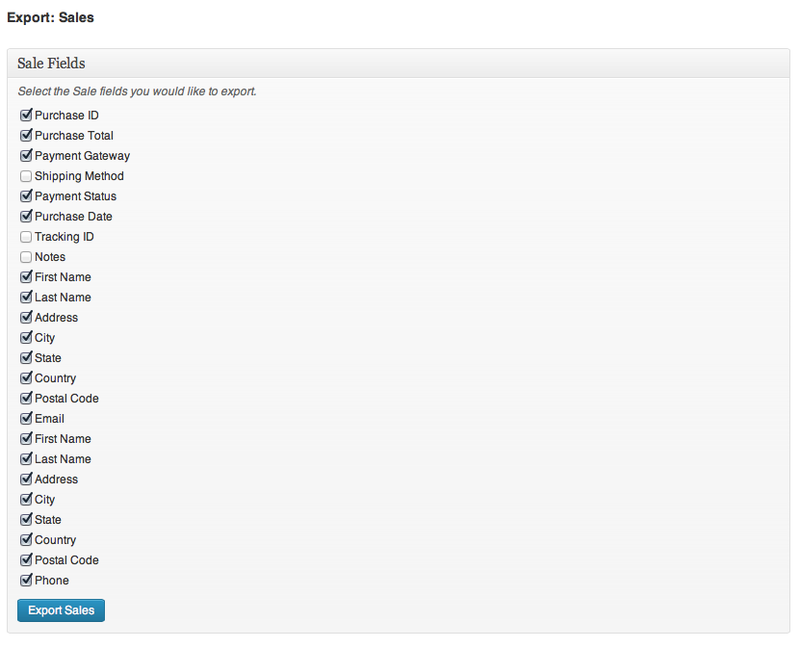 i.e I want to be able to export email addresses for those people that do NOT have an active subscription. 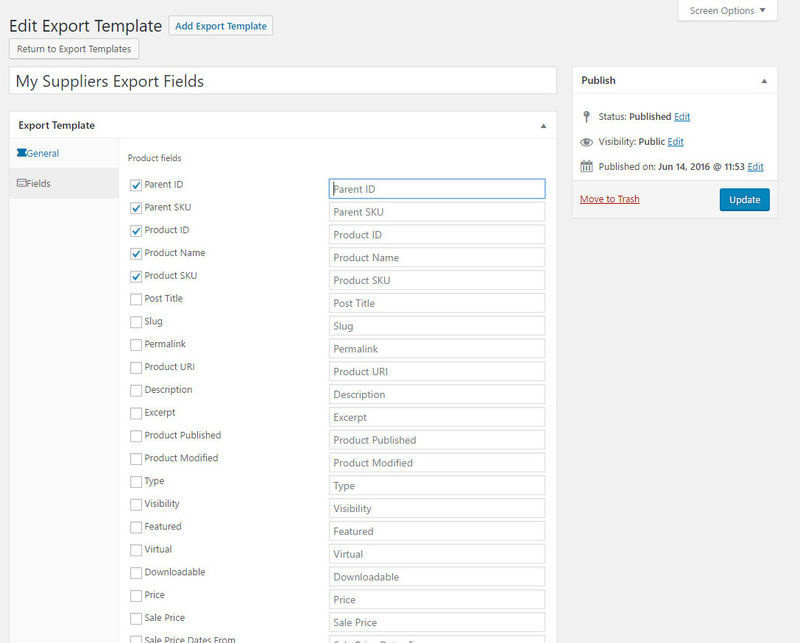 I want to export product name and id with their particular attribute(like Brand,model,model2). 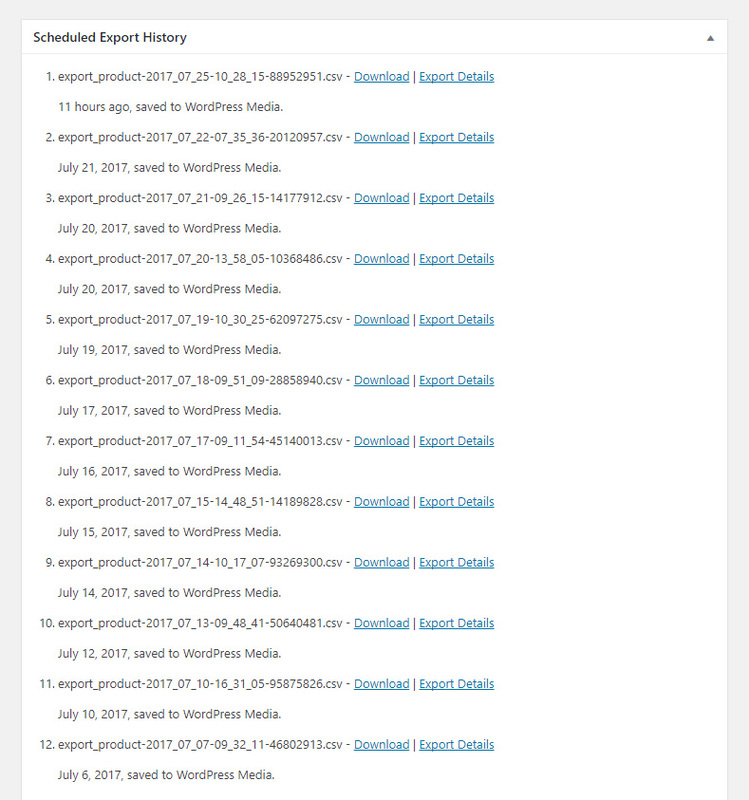 Does this plugin suitable for my requirement? 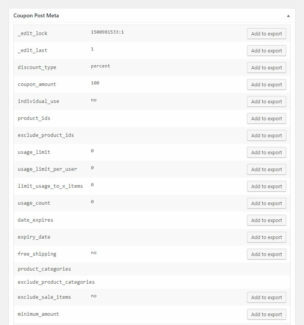 Does it work with the product add-ons plugin? 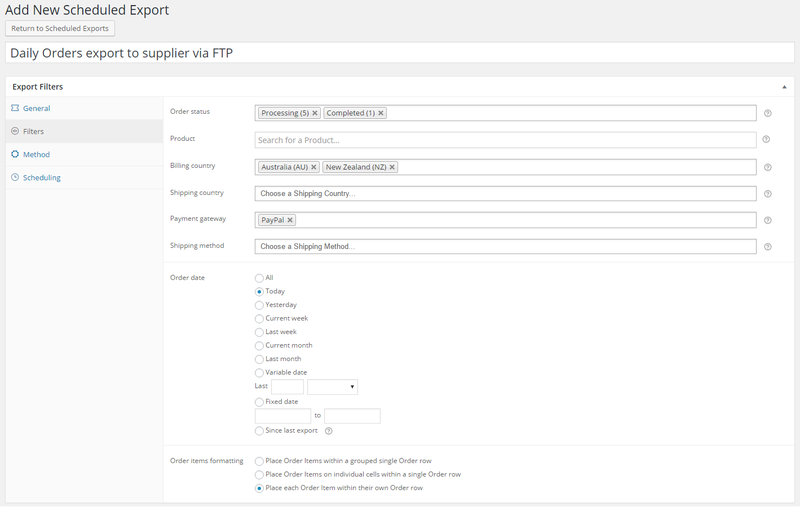 Hi, I use the plugin WooCommerce Extra Checkout Fields for Brazil that includes custom fields for billing address in the Woocommerce to generate our brazilian invoice format. 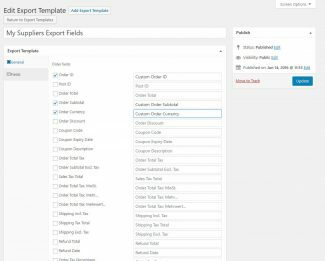 How can I add the custom billing fields in the Order Export? I can’t identify the correct hook. I need to check this information previously of my purchase. 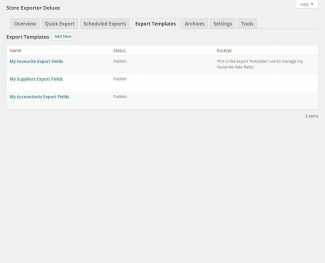 looking through a plugin and it looks great but I need two things and wondering if this plugin can do it? 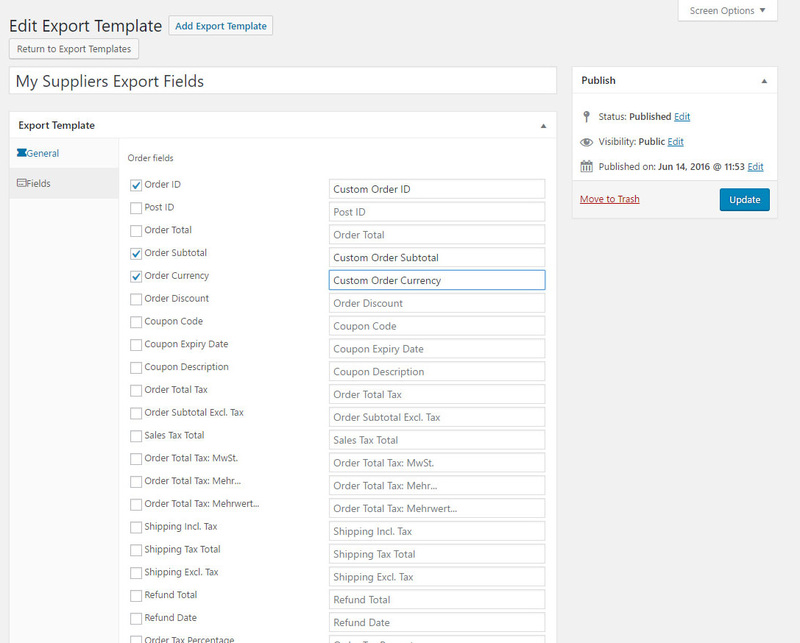 When going to woocommerce -> orders when I check few orders, is it possible to customize export in bulk actions above ordes so I can choose between two different exports in Excel ( example: I can choose Export as XLSX 1 and “Export as XLSX 2”) the difference would be in order of fields? 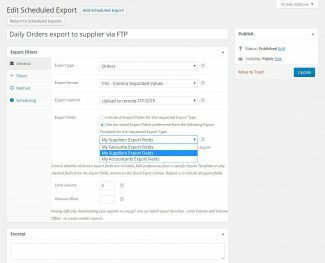 If I can’t have two different exports is it possible to customize order of fields for XLSX export that is there? 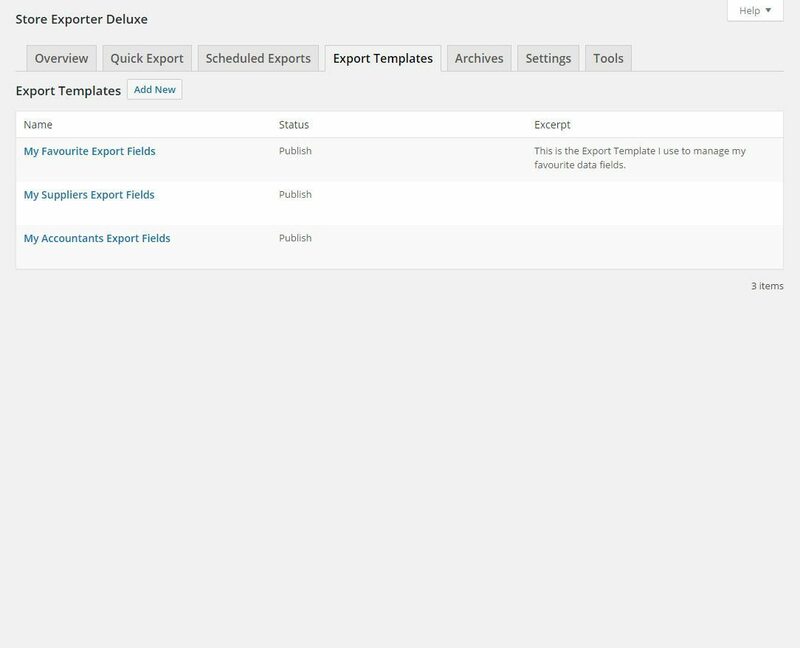 Hi Matej, we’ll be adding support for ‘export templates’ in a near future release, as of now you are recommended to use the Scheduled Export which supports some of the requirements you need. I want to make a new website and export all products, customers, orders etc. from the old website to the new one. 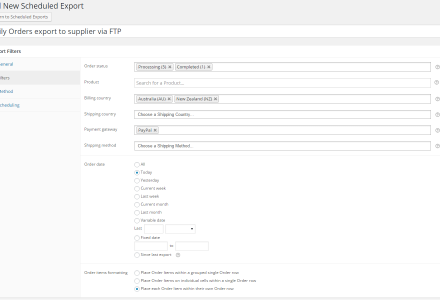 Can I EXPORT and IMPORT all products, customers, orders etc. with this plugin? Hi Israel, thanks for getting in touch, we support exporting all of the above but only can import Products at this time. 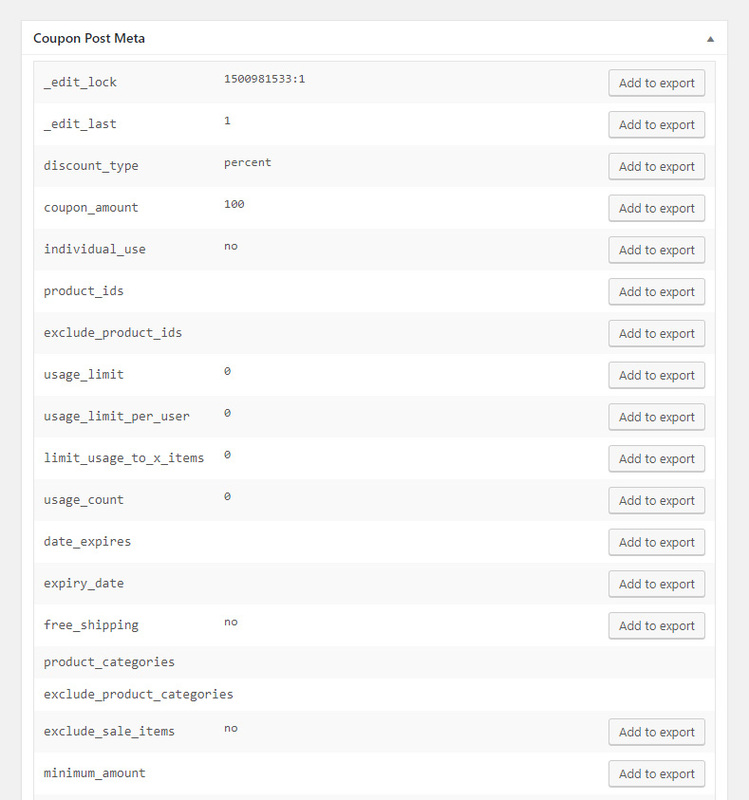 In my spare time I am working on a replacement import Plugin that will cover the different export types but development happens between support for Store Exporter Deluxe and the rest of our Plugin suite. Thank you for your reply Michael. 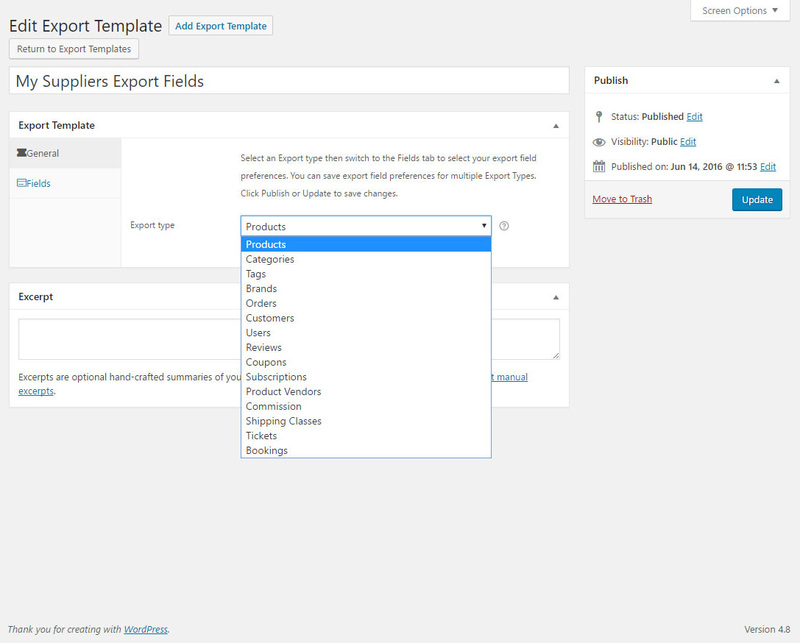 Hi, is there an option to also export the “vendor” field? 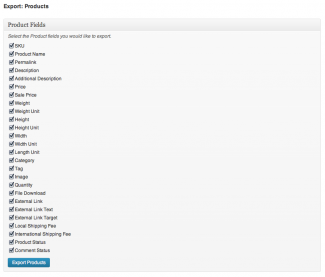 We are using WooCommerce + WC Vendors (or YITH WooCommerce Multi Vendor). 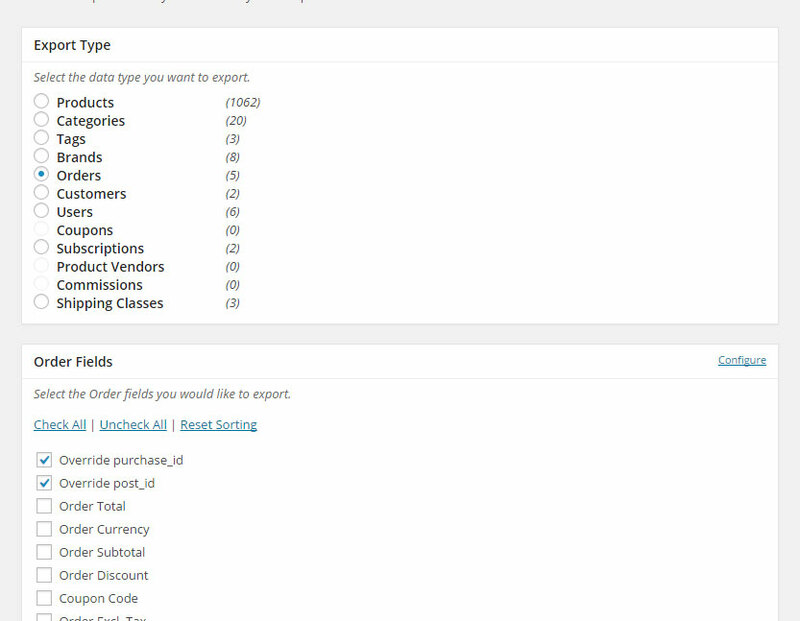 Our website would have 10,000+ items for each vendor so it’s necessary to be able to export/import in bulk. 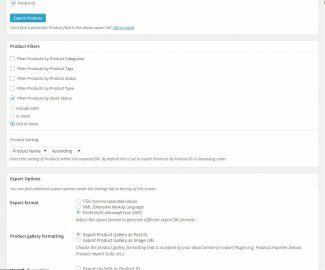 I see in the v2.0.4 update in December 2015 that you mentioned working on compatibility with the Extra Product Options plugin from codecanyon; is your exporter fully compatible with it as it stands? 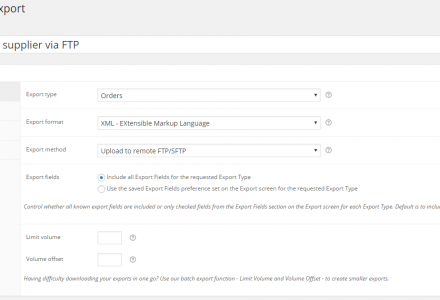 We’ve used EPO with various products in different ways and although I’ve built an exporter function for WP All Export that unserialises and sanitises the output, it’s not 100% and is a lot of work from one product to the next. 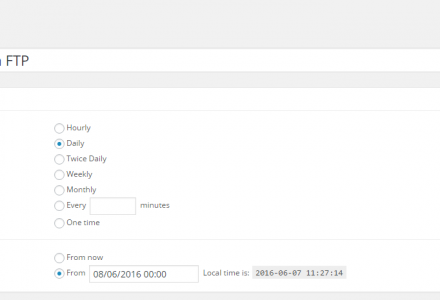 I’m keen to see what your plugin can do with the EPO data! 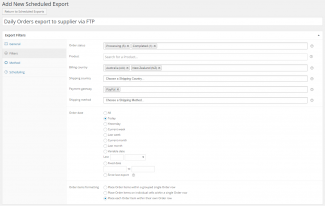 This plugin integrates with WooCommerce to give additional product info to make it an event, allow customers to specify individual attendees depending on number of tickets added to the cart etc. 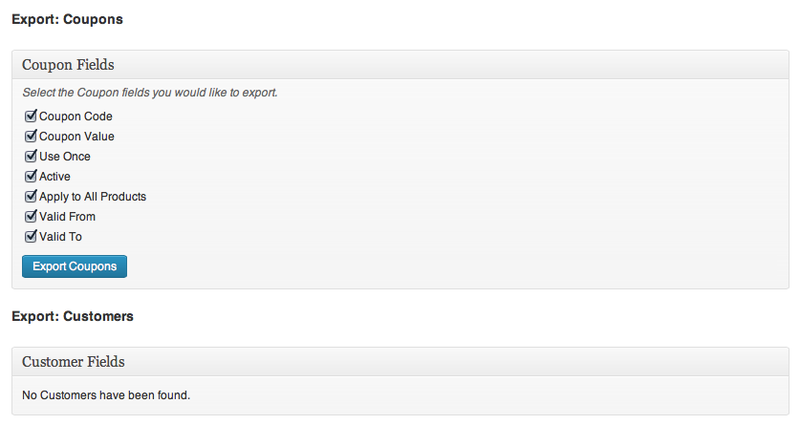 It has an export facility, but is very limited as it only downloads info by product and even then it’s fairly limited! 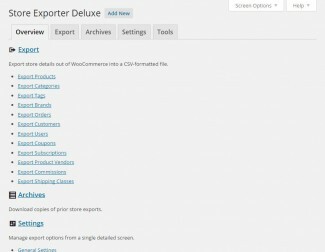 Store Exporter Deluxe seems the right fit, as we need to create a custom export which will include not only WooCommerce order data, but data from the WooCommerce Events (which creates a custom post type called Tickets). Cutting the long story short, is this a plugin you’re aware of and is SED compatible with it? If not, how easy would it be to add integration? 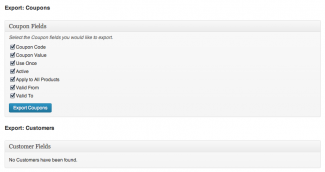 Much thanks – looks a great plugin, so I’m eager to use it anyway! 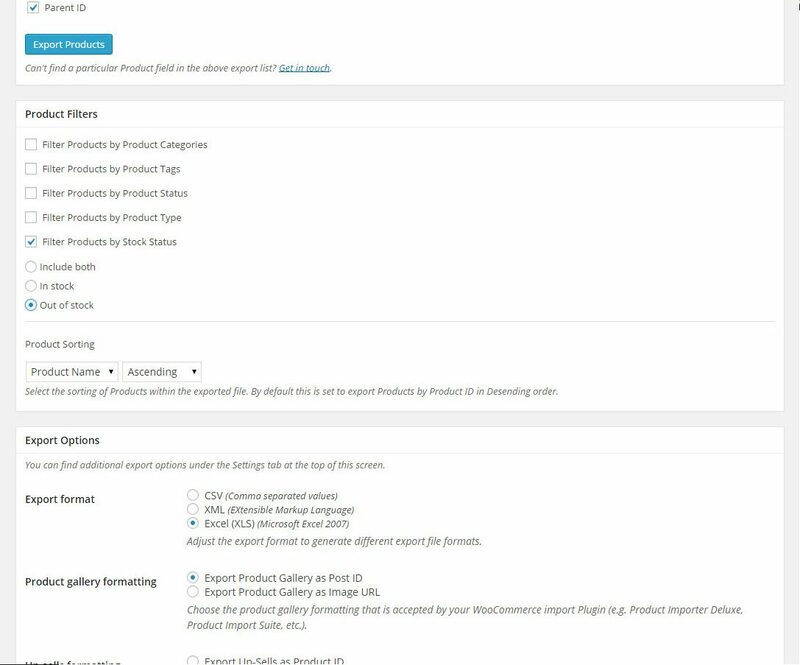 Hi Sam, that Plugin isn’t on our supported list but get in touch via Support after purchase and I’ll get export support baked into our Plugin for it. 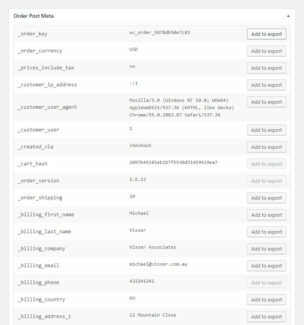 Are you able to export info from the Product Add-on? Thanks Michael. 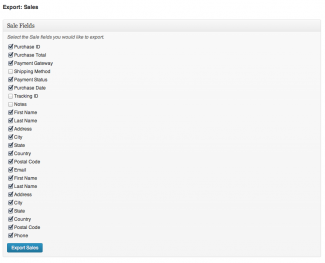 Is it built-in to your plugin or will it need custom development?